You can find it along Sierra Madre Street. (SPOT.ph) It’s 9 a.m. and commuters heading to the Boni MRT Station or riding a jeepney to Kalentong flock to Sierra Madre Street, one of the busiest areas in Mandaluyong City. Nearby, a run-down bargain store of clothes and gadgets prepares for the day ahead, while a carinderia right beside it tends to tricycle drivers having their morning fill. Amid the chaos, a neighborhood gallery above a local laundromat sets up its shelves of clay pots, cups, bowls, and plates—hoping to entice unsuspecting visitors to look behind the glass windows. 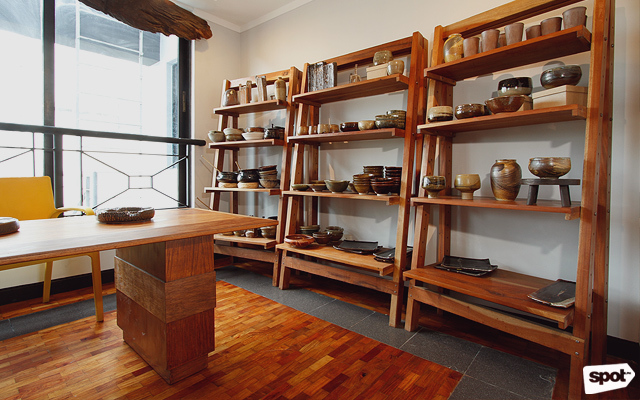 This is Sierra Madre Gallery, a new arts space devoted to ceramic arts opened by Filipino potter Joey de Castro on July 22. Sierra Madre Gallery, located on the seventh floor of NCC Building, was originally a rented two-bedroom condominium unit. 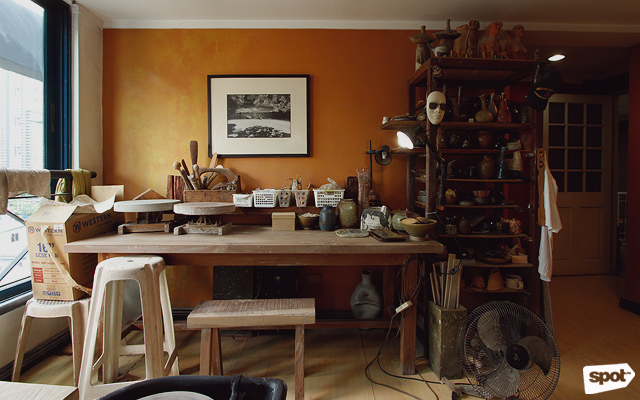 In the adjoining room is de Castro's studio where he toils day and night behind the potter's wheel. It’s just right below his eighth-floor home, which is also below the residences’ former laundry area where his firing kiln now stands. 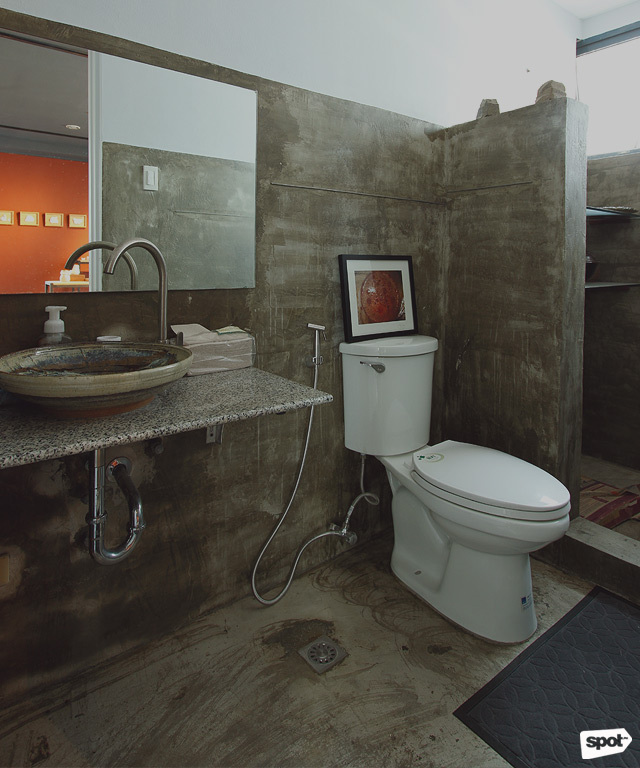 So when the spacious unit became available, the artist immediately grabbed the opportunity to turn it into a gallery. He personally designed the unit’s layout, turning the two bedrooms and living room into separate exhibition spaces, and transforming the dining hall into a receiving area for guests. Floors were stripped and the ceiling was redesigned to match the gallery’s industrial feel. The door handles and bathroom sink are all clay creations by the artist. 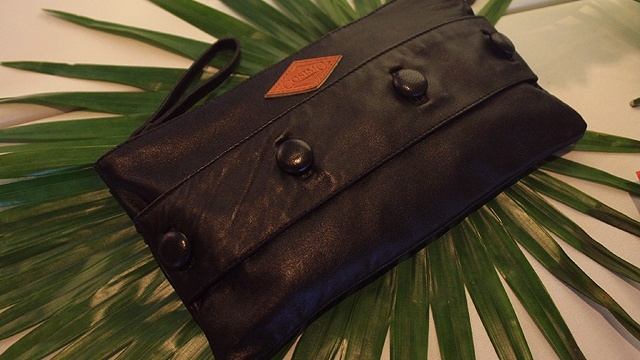 "The original plan was for me to set up my own gallery for my own products, for my works. It's like a showcase for my products,” he explains in an interview with SPOT.ph about the new art space. Prior to having Sierra Madre Gallery, de Castro would entertain interested buyers in his terrace, almost encroaching into his family’s personal space. “But, eventually, the cause [became] bigger than myself. People ask me if they can show [their works] here in the gallery. It's now open to the public," he continues. Its inaugural exhibit, Score and Slip, showcases works by Thai and Filipino ceramic artists: Chatchaiwat Chungchoo, Jirawong Wongtrangan, Krista Nogueras, Marco Rosario, Ness Sheen, Parany Duang-im, and Rosa Mirasol. 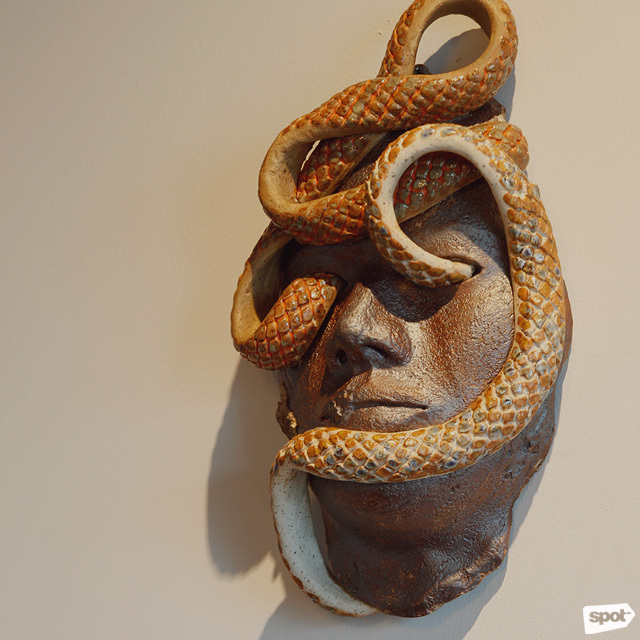 Most of these artists were introduced to de Castro when he attended Bond Klay Keramik, an international ceramic art symposium in Thailand, in July 2017. De Castro shares that there are only a handful of Filipino artists who are into this medium; but on the bright side, he knows most of them and it’s easy to book them for a show in his gallery. Joey de Castro makes his own clay from scratch. De Castro wasn’t always involved in ceramic art. In fact, he took up Mechanical Engineering for three years at De La Salle University before transferring to the Business Administration program at the College of Saint Benilde. He never practiced either field—professionally, at least. 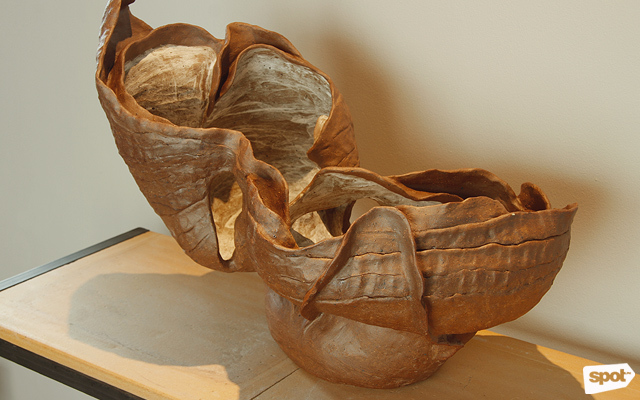 He dabbled in photography, then in collecting succulents, before finally getting into clay. He enrolled at the now-defunct Pettyjohn Mendoza Pottery School. "I started in 2003, I made pots for my plants, and then it snowballed. Now, I'm doing all sorts of pottery," he recalls. It was in 2007 when he bought his own kiln. 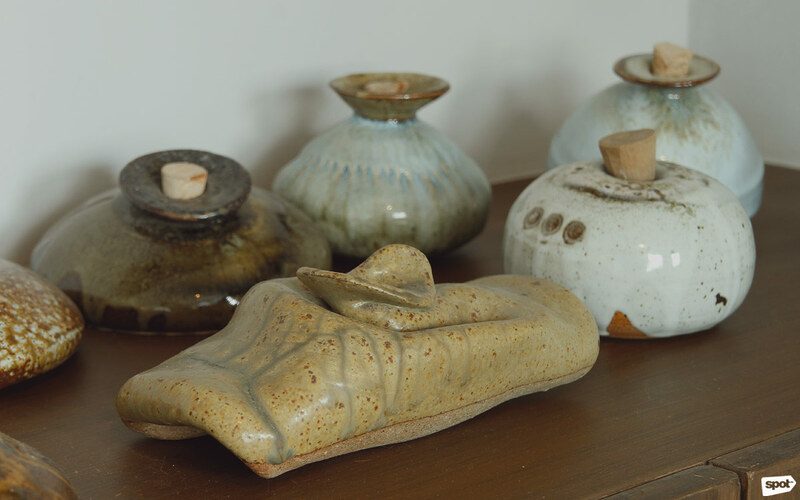 “Engineering helped me understand and develop my own glazes and firing techniques—the technical process,” he explains. 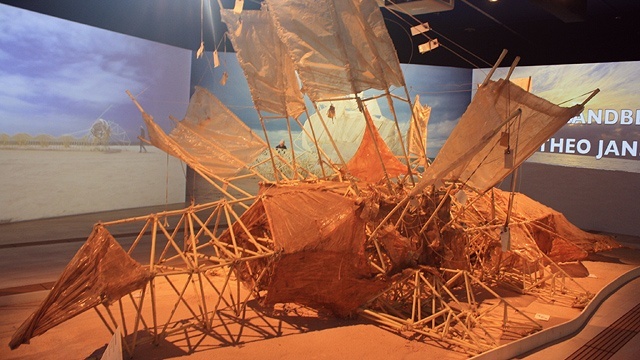 A background in science has also proven beneficial to De Castro’s art as he mixes his own clay from scratch. The shelves in his studio, filled with jars of gray and white matter, look a lot like a visual representation of the periodic table. He even has a notebook, much like your lab report for chemistry class, that has his experimentally deduced ratios of barium, manganese oxide, copper oxide, alumina, zirconium, and other elements and compounds. But that’s not even half of the process. After making the clay, he shapes it into his desired plate, bowl, or cup on the potter’s wheel—which, thankfully, now has a motorized version. This part often takes about five minutes, depending on the intricacy of the ceramic that he wants. He comes up with about 70 pieces before putting it all inside a huge firing kiln that heats up to a temperature of 900 degrees Celsius for eight to 10 hours. Everything’s then unloaded for firing and glazing, which takes about 14 hours. This part is the most crucial for the piece’s transformation from a lump of clay to a colorful work of art. Inside the kiln, heat reacts with the glaze—mostly made of silica—to produce various colors and textures on the earthenware. Other factors, such as the amount of gas from the tanks, reduction of oxygen, and release of air through the chimney, also affect this process. Unlike in painting where the artist can immediately see the effect of each brush stroke, De Castro has to do it blindly and only find out how things will work out when he finally opens the kiln. “Masarap maglaro,” he grins sheepishly about all these variables affecting the potter’s creation. 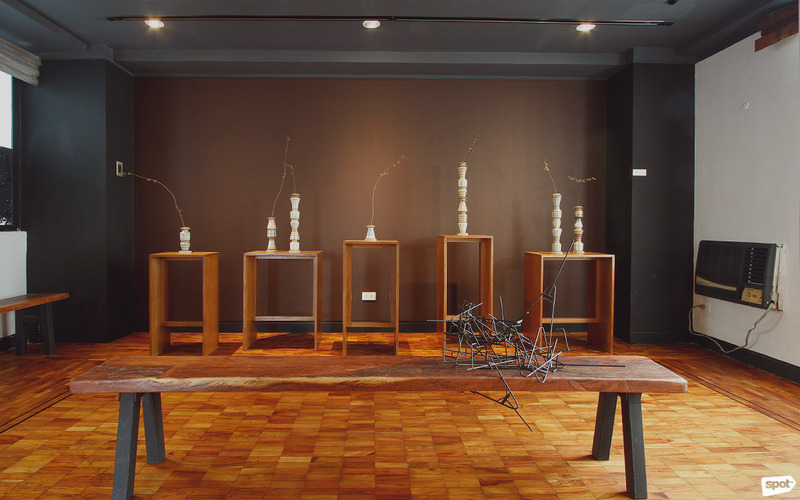 Unlike its Asian neighbors, the Philippines is a little behind when it comes to ceramic art. We only have a long history of using terracotta, born out of necessity. The best example of this is the Manunggul Jar, a burial vessel excavated from Palawan and believed to date back to 890 BC. According to De Castro, this type of pottery persisted in the pre-Hispanic period because impure clay was readily available and it could be cooked just by throwing it into an open flame. 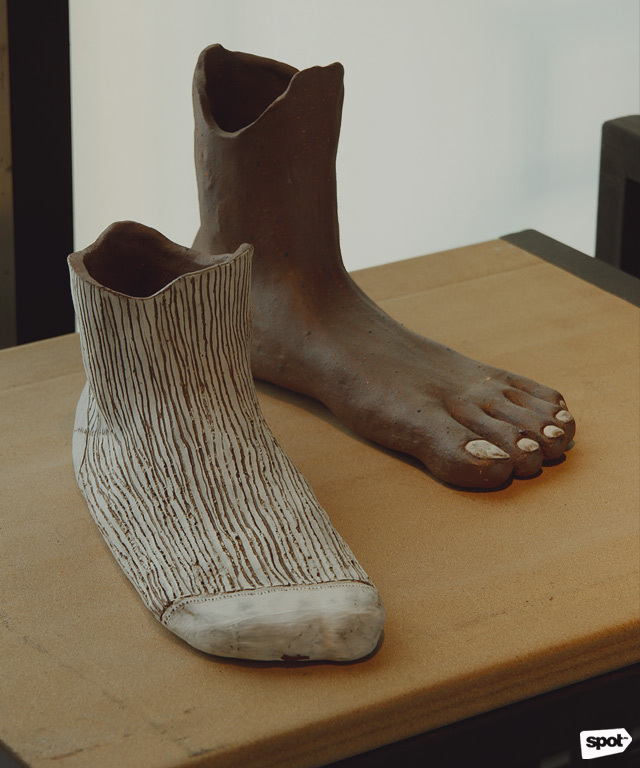 It takes more effort to create the ceramic art that he other artists now produce. 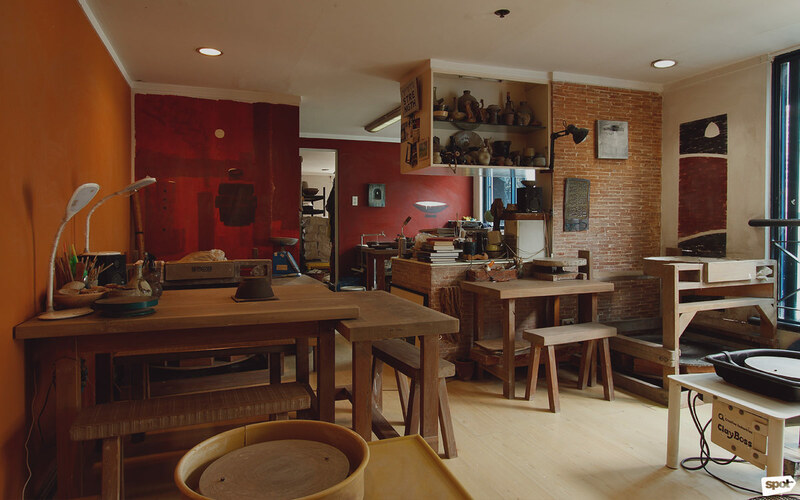 To continue this interest, De Castro offers a small-scale, six-module pottery class with sessions held every Saturday by appointment. 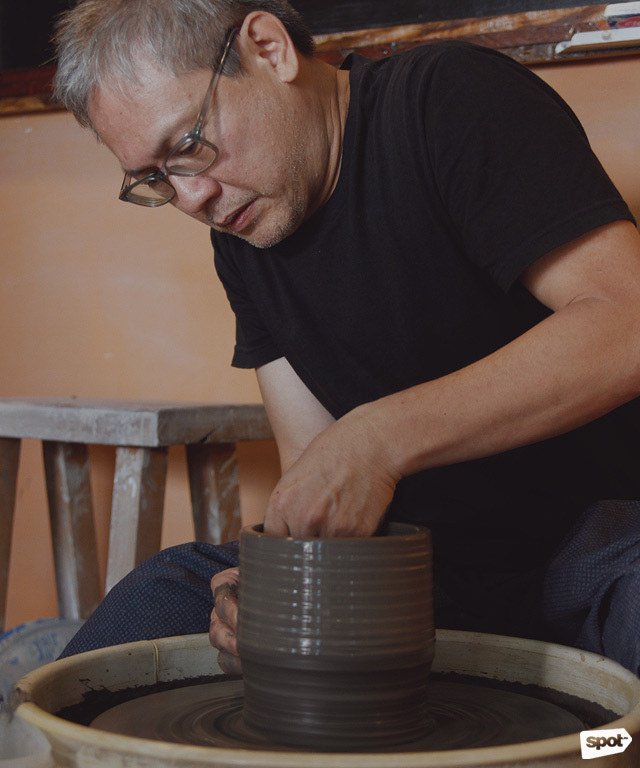 He is now one of the few—if not the only—pottery teachers in Manila, especially after the Pettyjohn Mendoza Pottery School closed in 2009. “Hopefully, this will be the home of ceramics in the Philippines, that all artists can pool together their art, their resources, and their community in this space,” he concludes. Downstairs, the rest of the city moves about, unaware of the treasure that they can find seven floors up. Sierra Madre Gallery is open by appointment Mondays to Saturdays, from 9 a.m to 12 p.m. and from 2 p.m. to 5 p.m. It is at 7/F NCC Building, 586 Sierra Madre Street, Mandaluyong City. For inquiries, follow Joey De Castro Pottery on Facebook.